Inspired by the famous Ritz Afternoon Tea, enjoy palm court music, and Champagne on Concorde. Additionally, hear stories and gossip from a Concorde Pilot and Stewardess. Welcome Reception in the Vickers Suite, with tea and coffee. Champagne served to you on board Concorde. Visit to the Flight Deck of Concorde. Afternoon Tea in the Vickers Suite. Presentation by a Concorde Pilot and Stewardess. Complimentary Tea & Coffee served. 11:15 Introduction to Brooklands and Concorde. 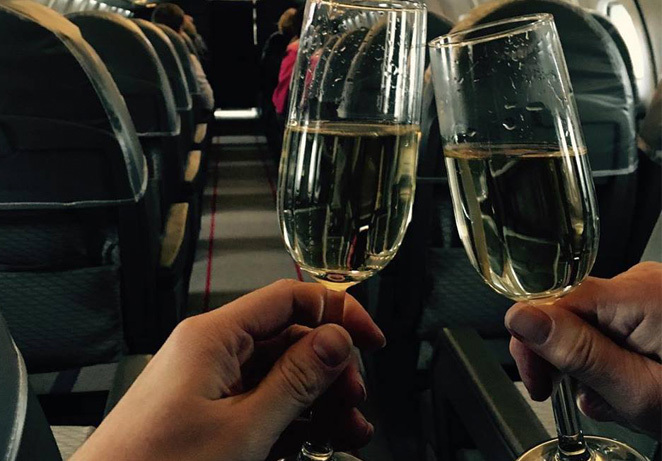 Champagne is served to you in your seat.